Remember that nasty looking oil filter canister? 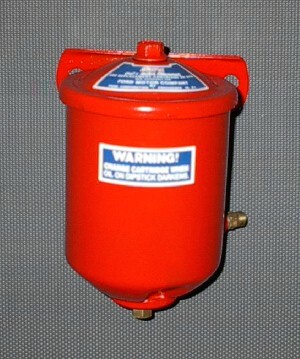 This is the same canister after a session in the bead-blast cabinet, some red paint and new decals from Just8Ns.com. 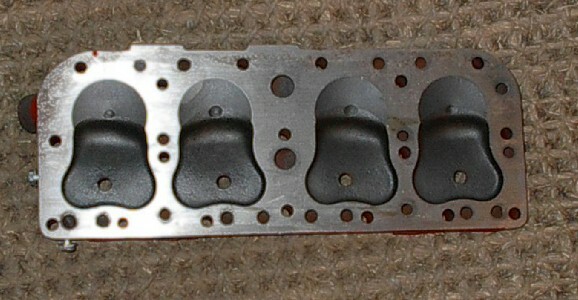 Here's the cylinder head, after a trip to the machine shop. The head was cleaned and shaved by the machine shop. The head has received a fresh coat of New Holland Ford Red from a spray can. Since this is a side-mount distributor engine, note the mounting pads and bolts in the lower right-hand side and front for the coil bracket. The coil bracket sort of wraps around the corner. 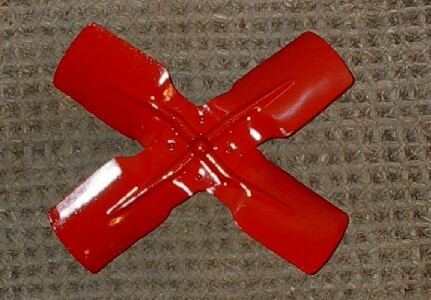 The fan was bead-blasted and has also received a coat of New Holland Red.